Digital Document Conversion Services can help your business realize results faster than you ever imagined. Leverage our Document Scanning Services to get you there faster. Achieving the Paperless Office doesn't require you to buy expensive equipment or hire teams of people. Our services can help you save money and improve the quality of your document imaging efforts through outsourcing. Our Document Scanning Services enable you to significantly reduce your time to success, We handle the entire document conversion process, from end-to-end, so you don't have to. Day-Forward Document Scanning Services - On-going, sometimes even daily, scanning of critical business documents to support business operations. Not Sure where to Start your Document Scanning Project? Document Scanning Services allow you to outsource the document imaging process to a third party. 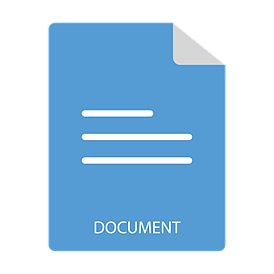 With Shoreline, we handle all of the document preparation, scanning, indexing, and quality control processes and deliver you back a series of images and text files that can be uploaded into your document imaging software. If you don't already have document imaging software, we can work with you to find the best solution to meet your needs, including cloud-based document storage or images delivered back on fully searchable CD's or DVD's. Outsourcing is particularly useful to help address Backfile Scanning Projects and when you want to focus your team on revenue and value generating activities. What about Pricing? How much do Document Scanning Services Cost? Volume - The total number of pages, images, or documents that you need to have scanned. Document Preparation Difficulty - How many staples, tears, clips, etc. 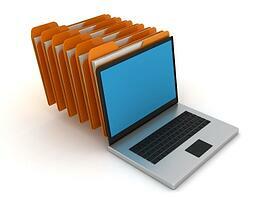 are in your files determines the Document Preparation Difficulty, and ultimately have an impact on the price. Indexing Criteria - What keywords are required to be manually entered to allow you to find your images? Turnaround Time - How quickly do the services need to be performed? If you can provide a clear idea of these metrics, we can usually provide you with a pretty accurate price per image. Also, we always accept sample jobs so that we can both be more comfortable with the specific requirements of your job. Contact us for a Quote on your Scanning Project to find out more about this process. Request a Document Scanning Quote Today!